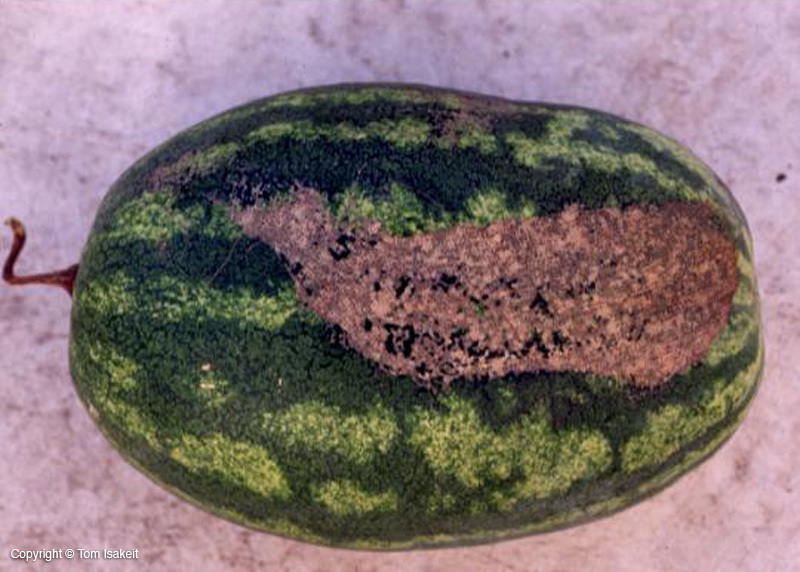 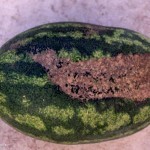 Cracks, scarring (Image 1), and pitting can be caused by mechanical damage when fruits are young. 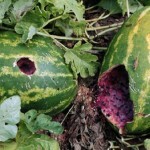 Insects can also cause such injury. 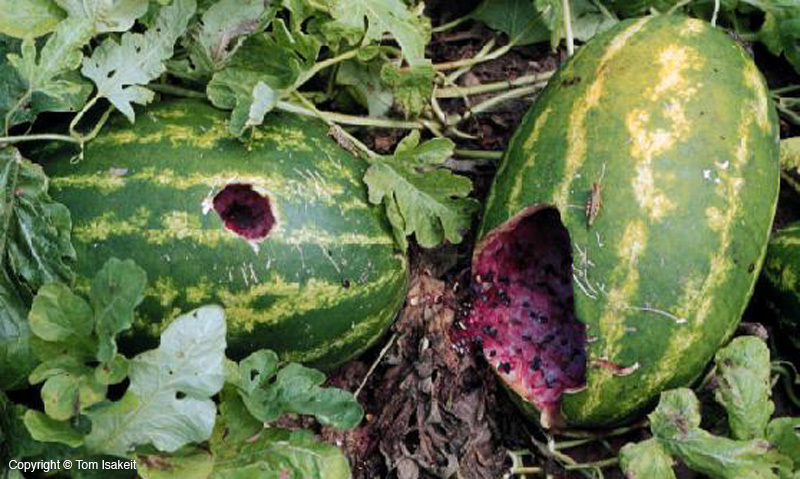 Animals, such as wild hogs and raccoons, can cause more substantial damage (Image2).